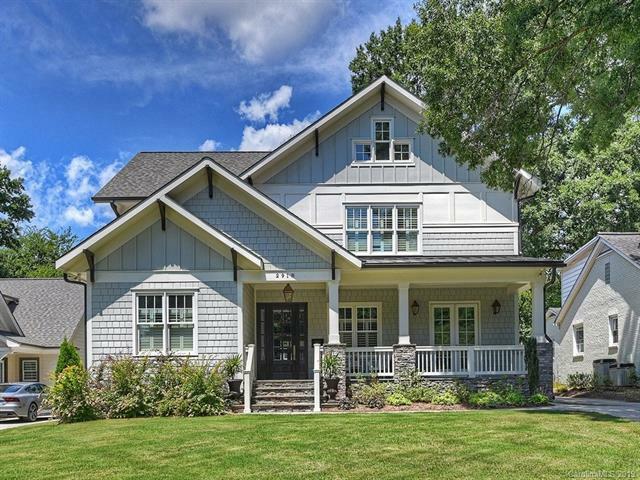 Like-new craftsman-style home on a big lot near Freedom Park. Incredible outdoor living spaces- a front porch and an outdoor covered living room with a stone fireplace. Beautifully designed and appointed with a bright and open floor plan. Wide-cased openings and moldings reminiscent of the 1920's architecture. Master suite on the main level. Tremendous cook's kitchen features a lovely island, breakfast booth, and a wet bar- open to the family room. Big mud room next to the laundry room. This layout works well for people on the go. All bedrooms have bath access and share a spacious rec room. Across the back lawn is the garage with a guest suite, equipped with a mini-kitchen. The yard is a playing field and is secured at the driveway by a coded gate. Great attention is given lighting, moldings, light fixtures, and storage. A wonderful house for day to day living and entertaining.